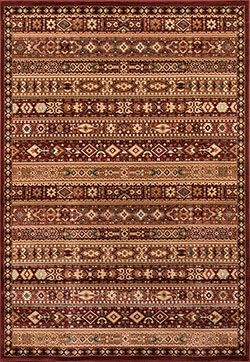 Belmont rugs are Cross-woven in Turkey with durable heat set yarns. The design work was inspired by prized antique Persian carpets. Unique modern technology of double-pointing and drop-stitch lets you enjoy a vintage upscale look at a moderate price. A beautiful vintage color palette makes these rugs a good fit in a classic or a casual room.